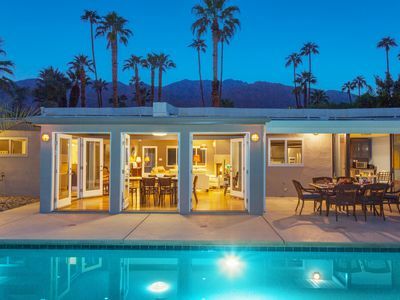 Palm Springs midcentury masterpiece designed by starchitects Albert Frey and Robson Chambers in 1964. 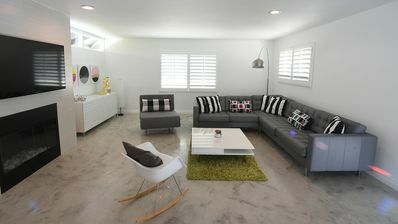 The perfect vacation rental property for Modernism Purists. 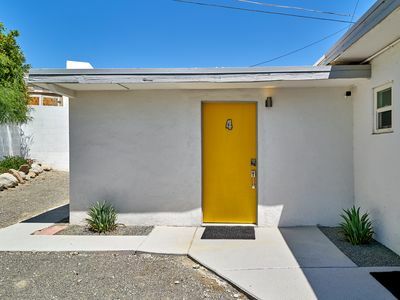 This home has only had three owners in its more than 50-year history. Throughout its history, it has been lovingly preserved - and impeccably maintained. Guests staying at the Frey-Steinmeyer House will appreciate it as the time capsule that it is. All of the original architectural details remain intact and preserved including the wall to wall and floor to ceiling windows, terrazzo flooring, St. Charles kitchen cabinets, extensive brick accent walls, and 10 foot ceilings. 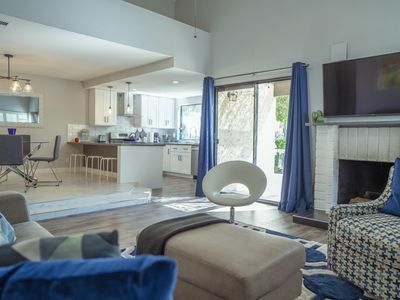 Other than a few necessary cosmetic changes - almost everything - including the plumbing fixtures and most of the appliances - are original to the home. 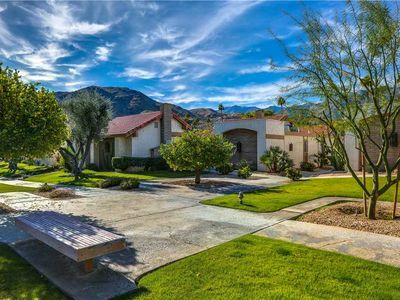 This custom built home is located in the heart of the Historic Tennis Club neighborhood surrounded by walled and gated estates and other million-dollar plus homes. 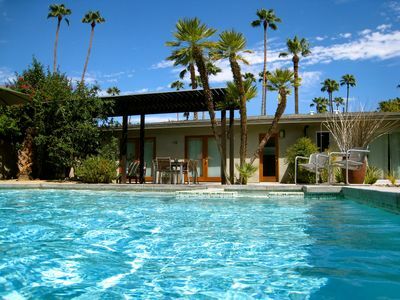 You will be just a short stroll from the world famous Palm Canyon Drive as it cuts through bustling Downtown Palm Springs. The home was designed to blur the lines between indoor and outdoor living - capturing spectacular mountain views from every room. 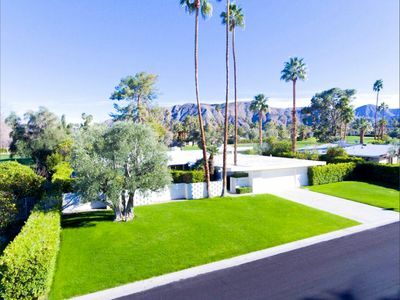 This special home represents the ultimate in modernism - offering the quintessential Palm Springs experience. Hugo Steinmeyer, a prominent banker, who served as chief in-house counsel for the Bank of America, commissioned the architectural team of Frey and Chambers to create this home during the 10 years of their business partnership (1956-66). 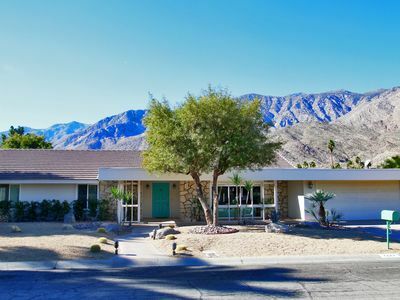 It was during that same time the starchitect duo designed a number of iconic commercial and residential properties including the Palm Springs Aerial Tramway Valley Station (1963) the Frey House II (1963-64) and the recently restored North Shore Yacht Club at the Salton Sea (1958). 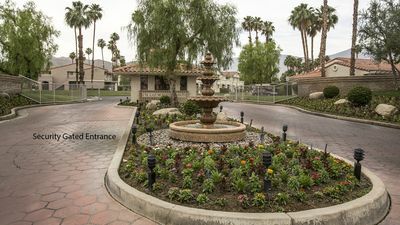 Steinmeyer and his wife Dolores owned the property for 10 years before selling to Ethel “Mike” Vetterli, an avid party hostess who lived at the property for 45 years before selling to the current owners. For decades, Ms. Vetterli was known for throwing three very important parties each year at the home. Her spring party wrapped around the pool outside while her annual October gathering was known to weave inside and out. Her Christmas party in December was largely an inside happening. This property is gorgeous in its simplicity, as Frey and Chambers intended. 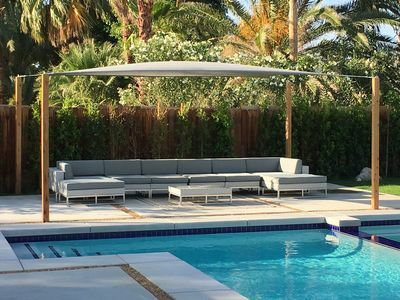 You’ll find clean lines, a free flowing floor plan and walls of glass that let the light pour in to reveal the retro-chic pool yard. 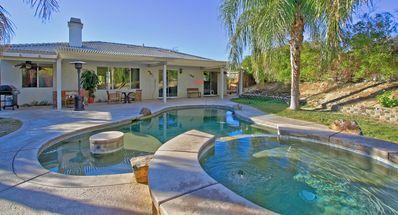 The entire back of the house features floor to ceiling glass - seamlessly connecting the indoors to the pool, patio and outdoor living spaces. The fully stocked kitchen is perfect for both group and individual meal prep. It features the original iconic St. Charles of New York cabinets - a company that began in 1935 and rose to prominence during the Kitchen Furniture Styling Era when it was specified by leading architects and designers such as Mies Van Der Rohe. Frank Lloyd Wright used the line in his Pennsylvania Falling Waters House. The current owners worked with the award-winning design team at H3K to curate art, furnishings and accessories that would honor the architectural pedigree and Mid Mod vibe of the property yet offer the comfort and easy living we expect today. 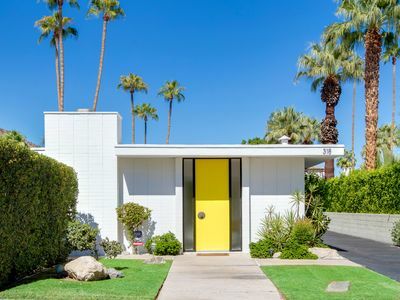 A combination of authentic and midcentury-inspired pieces successfully creates a fabulous experience that looks as though it were lifted from the pages of Architectural Digest. Breathtaking. Gorgeous. Mod Mod Magic. Ensuite bathrooms and floor to ceiling sliders to the pool. 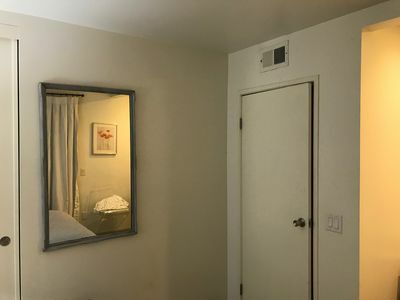 There is a third space that doubles as a media room and sleeping area for overflow guests.The sectional sofa pulls out to a Queen-sized sleeper and the room has a full bath. Available NOW for Coachella Music Festivals! The Quintessential at Deepwell - Very Private Pool Yard! 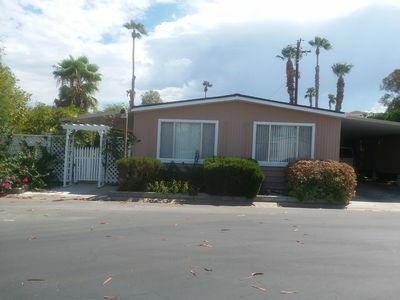 Perfect 2 bed 2 bath in heart of Palm Springs. Sleeps 5. 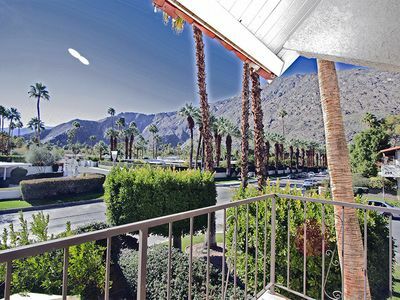 Welcome to the coveted Canyon Sands Condominium in South Palm Springs! 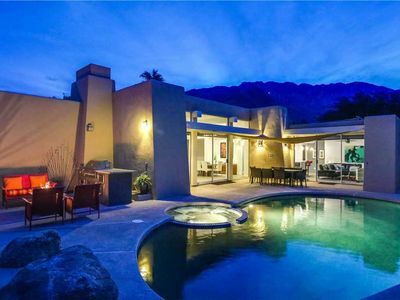 *NEW* Huge 1960's Modern on Indian Canyons Golf Course, surrounded my mountains.